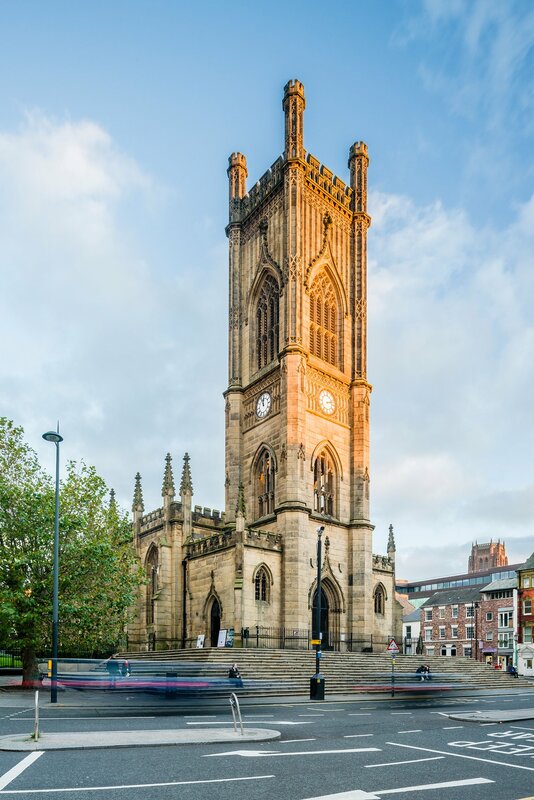 The church of St Luke on Berry Street in Liverpool was constructed in 1811 under the supervision of John Foster Sr. 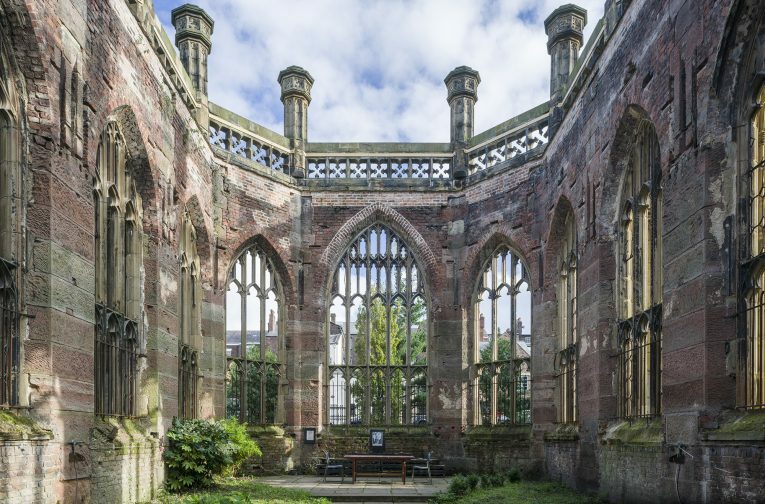 The chancel was added in 1822 by John Foster Jr. The style is that of refined Gothic Revival with unprecedented detail and decoration in the tracery. 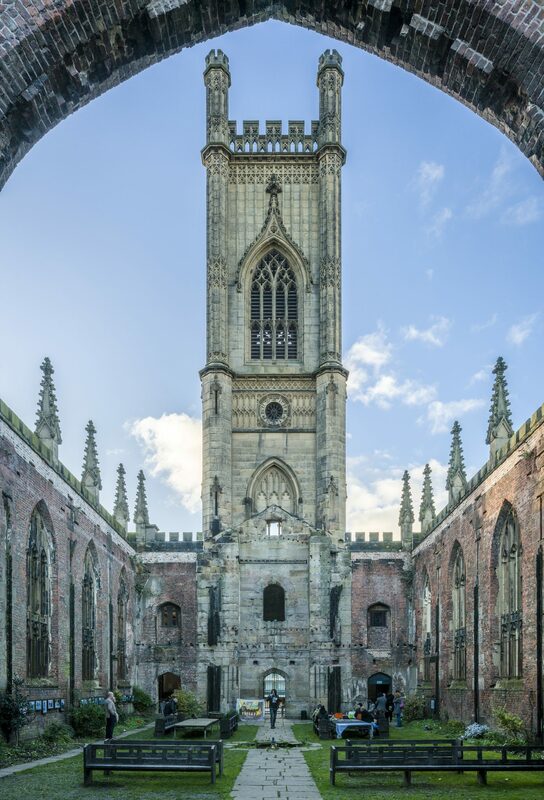 The interior was gutted during the Liverpool Blitz in 1941 when an incendiary bomb caused catastrophic damage. 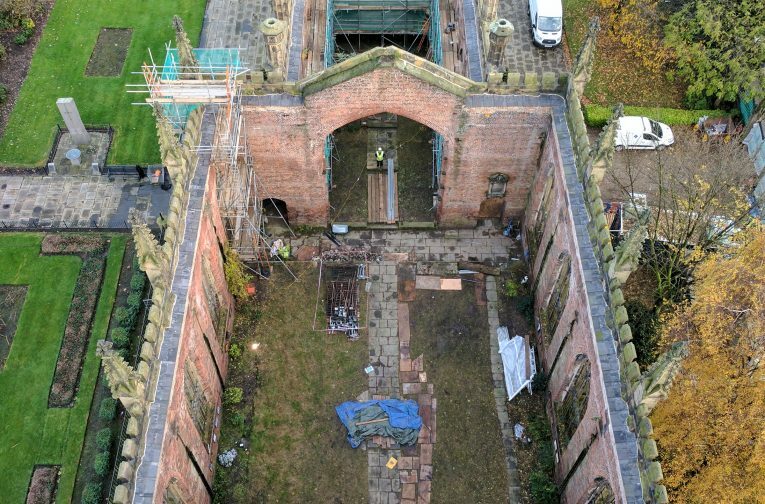 The roof was completely lost, leaving only the external masonry walls and tower. 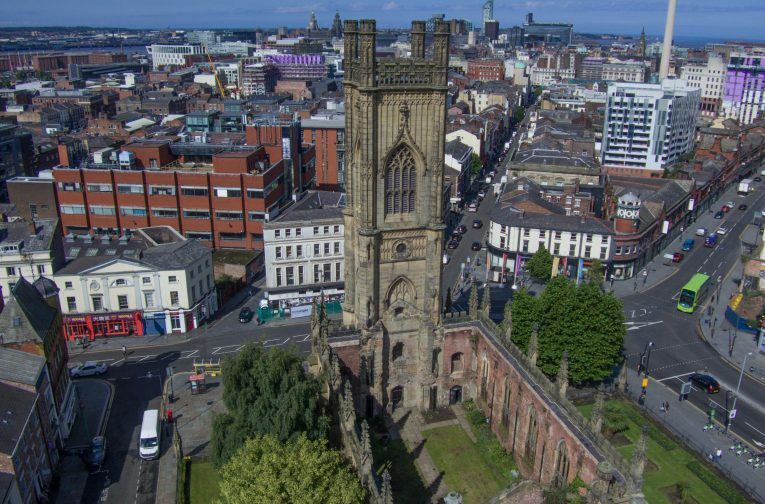 The building was earmarked for demolition in the 1950s but became regarded as a war memorial to the civilian casualties sustained during WWII in Liverpool and became Grade II* listed. The building has most recently been used as a community arts venue managed by volunteers. 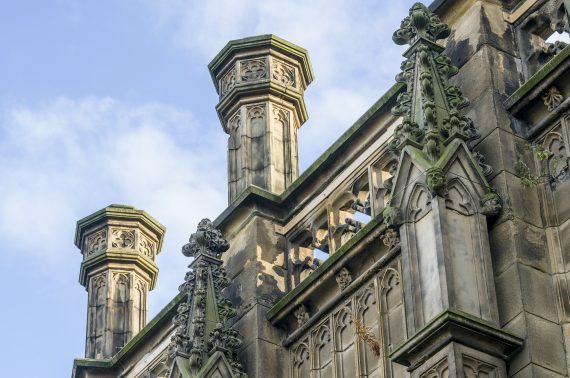 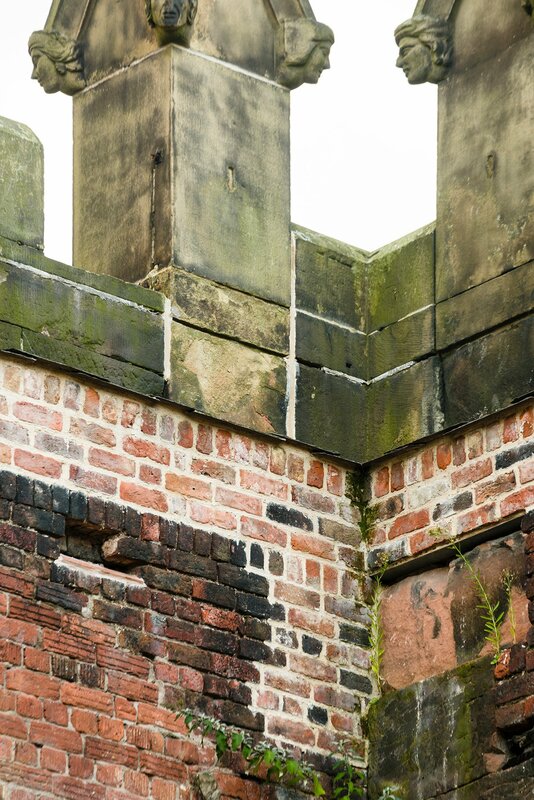 A repair project has been jointly funded by Historic England and Liverpool City Council to carry out emergency repairs to high-level masonry which was becoming a danger to users of the building. 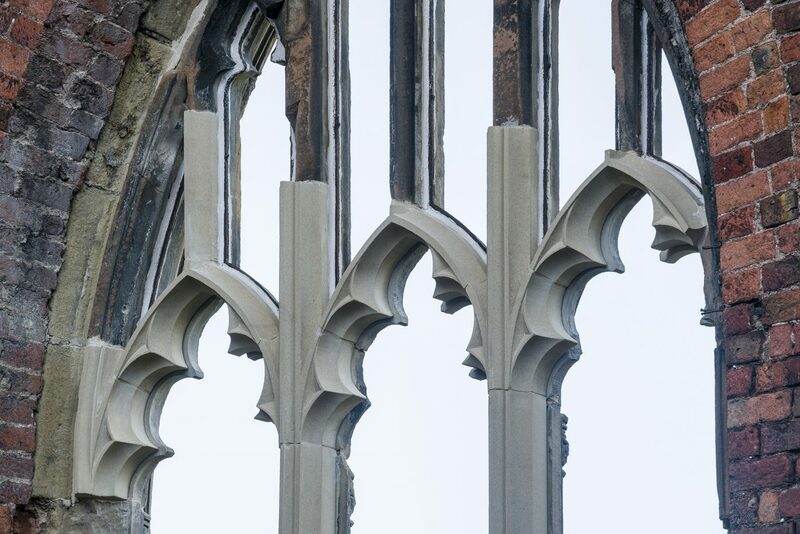 Attention had been focused on the loose masonry at the wall tops, pinnacles, the chancel parapet, and the north and south vestry roofs. 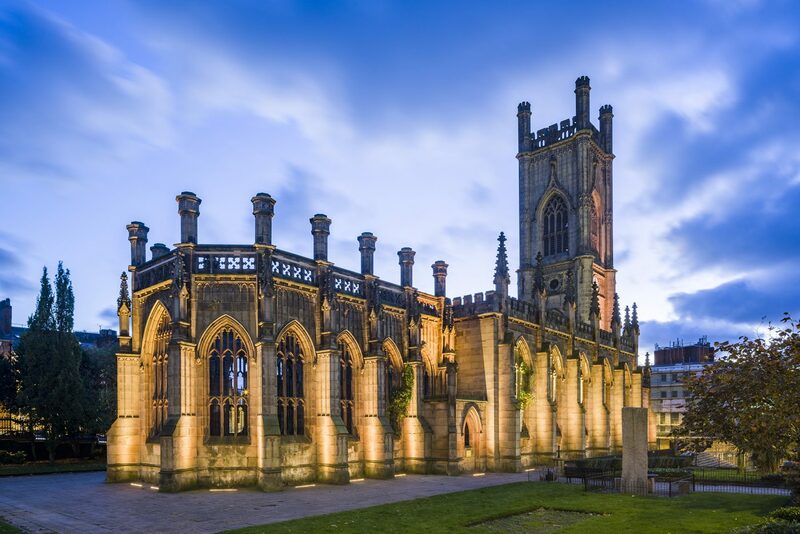 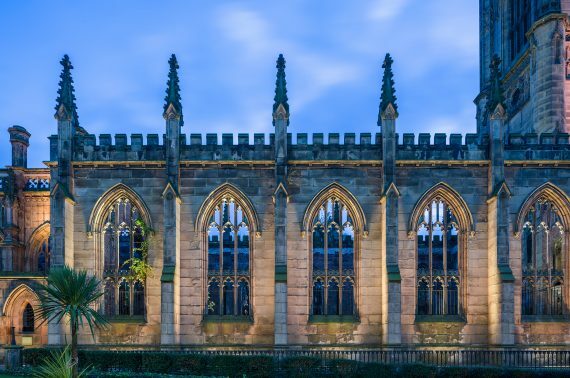 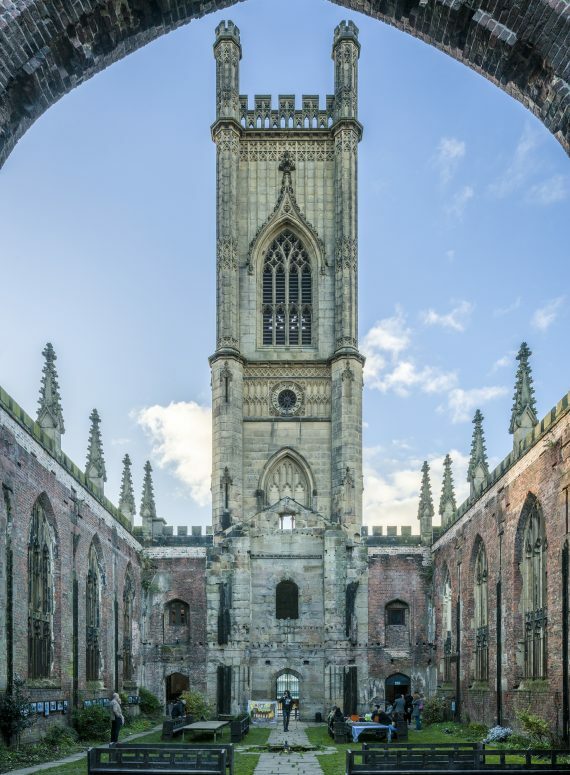 We were subsequently appointed to lead the installation of an architectural lighting system, which was unveiled at the church in the presence of the Mayor of Liverpool to mark its removal from the Heritage at Risk Register.